Whiskey and chocolate: a match made in heaven! 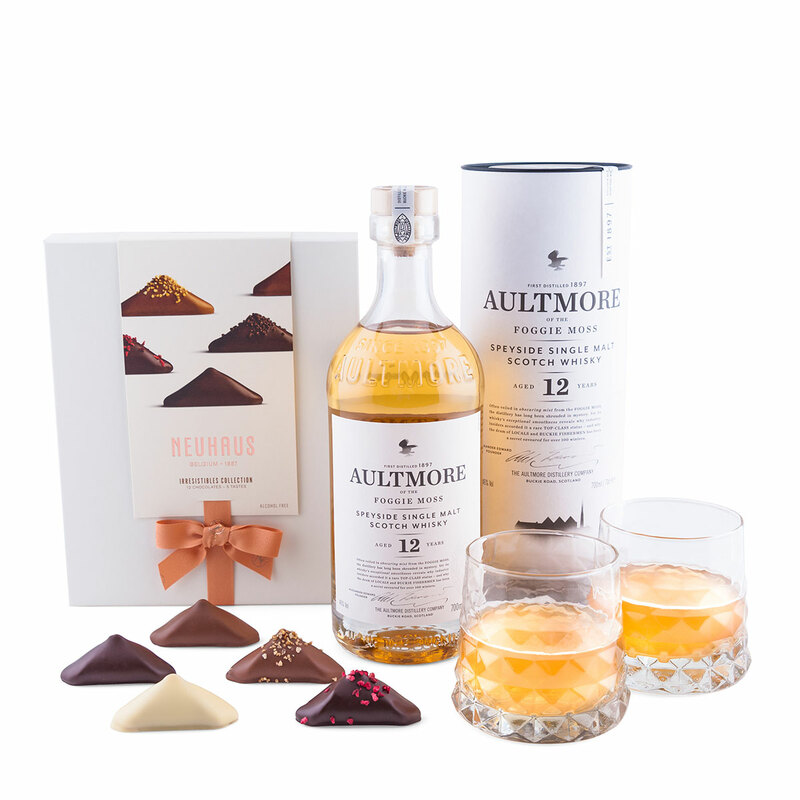 Enjoy the powerful character of Aultmore Scotch Whiskey 12 Years Old and the luxurious, hand-filled Neuhaus Irrésistibles. 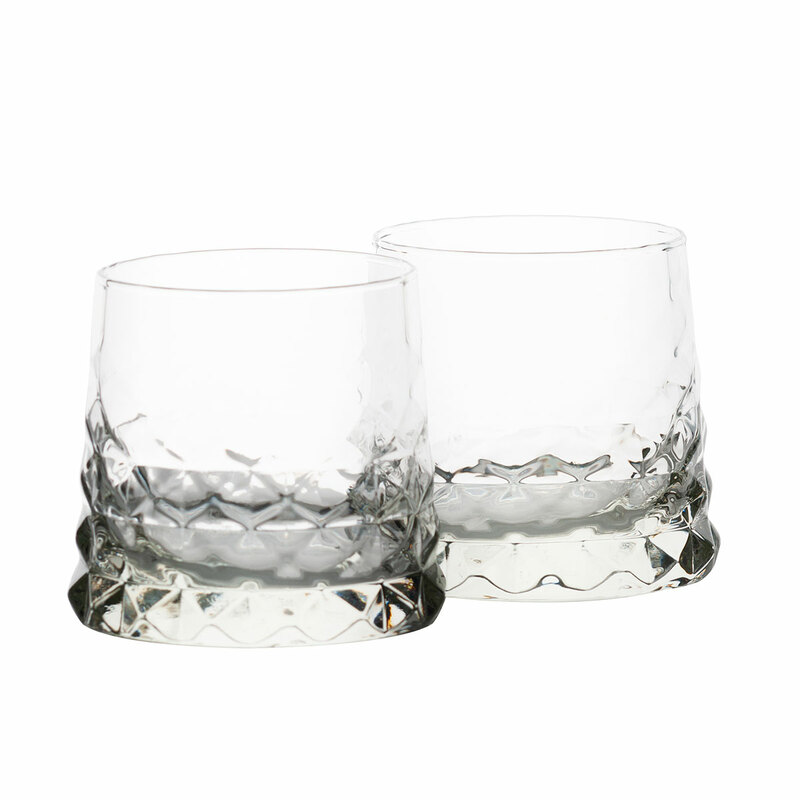 A wonderful gift for bon vivants. 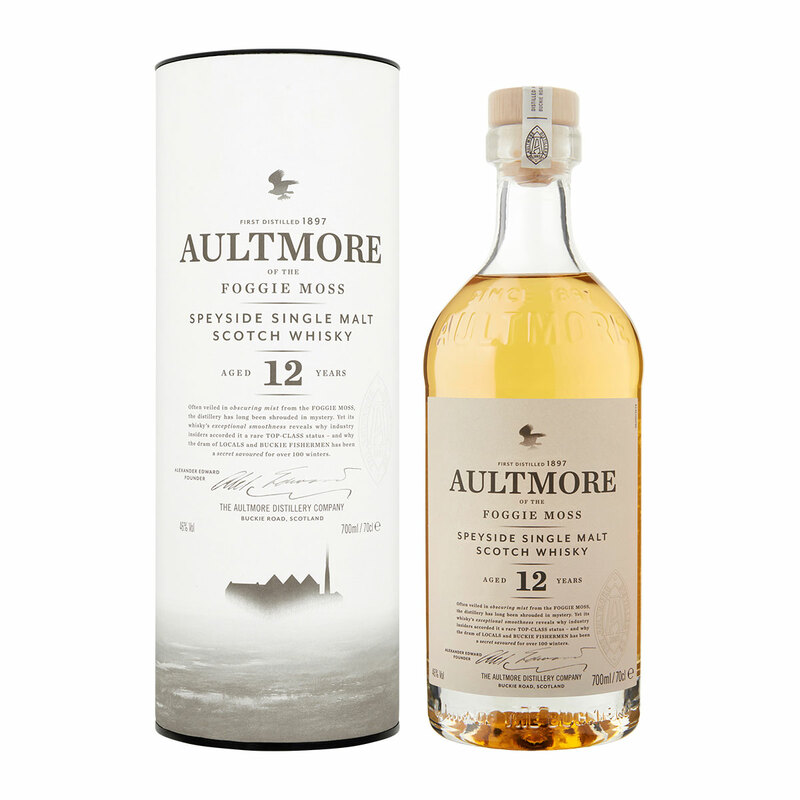 The Aultmore single malt Scotch whisky is known for its elegant, light, and fruity character. Aged 12 years, it has hints of vanilla, pear, apple, and custard, with a light body and no smokiness. 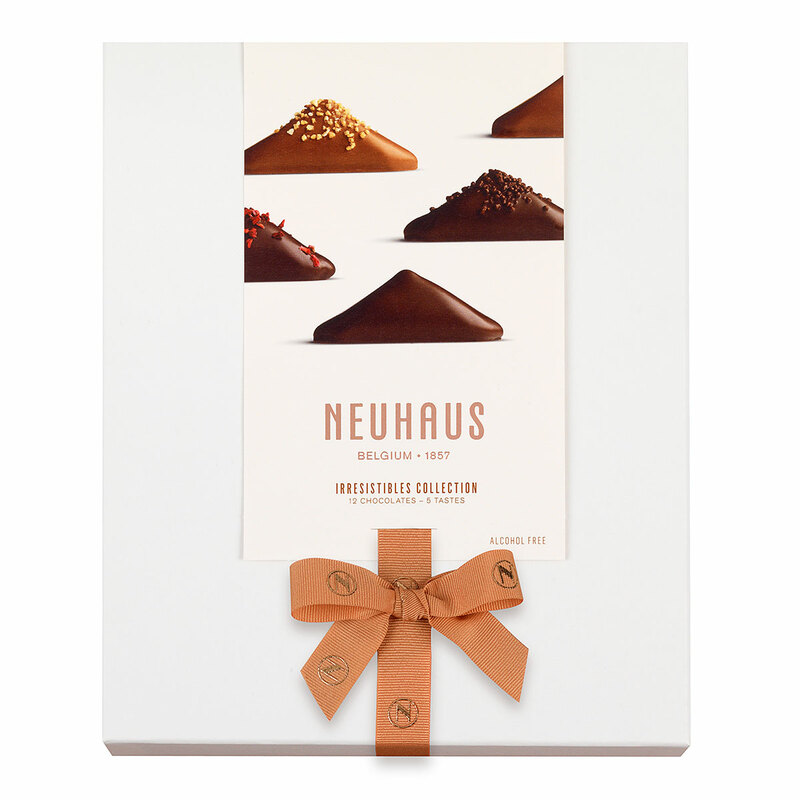 The prestige gift box with 12 Neuhaus irrésistibles offers an amazing tasting journey with 5 different Irrésistibles hand-filled with fresh cream or ganache.